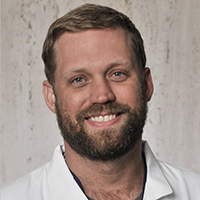 Bryan Wohlfeld, M.D., is an Assistant Professor in the Department of Neurological Surgery at UT Southwestern Medical Center. He also is Chief of Service for Neurological Surgery at the North Texas VA Medical Center. He specializes in treating complex and degenerative spine conditions. Dr. Wohlfeld earned his medical degree with honors from Indiana University School of Medicine. He completed a general surgery internship and a neurological surgery residency at UT Southwestern. His residency included an intra-residency spine concentration at UT Southwestern and Texas Scottish Rite Hospital. He is a member the Texas Association of Neurological Surgeons, the Congress of Neurological Surgeons, the American Association of Neurological Surgeons, and the North American Spine Society. Neurosurgeon Bryan Wohlfeld, M.D., specializes in treating complex and degenerative spine conditions, such as spinal stenosis, degenerative disc disease, and myelopathy. Whether patients see him after initial diagnosis or for revision surgery, he aims to find the most effective treatment approach and get them back to their lives – to their families, their jobs, their schools – and living without pain. Dr. Wohlfeld uses less-invasive techniques for certain procedures to help patients recover more quickly. Depending on the patient’s situation, Dr. Wohlfeld can perform a multilevel lumbar fusion surgery with a six-centimeter incision, for instance, compared to much larger incisions other surgeons might make. His interest in novel technologies has led him to the use of such leading-edge tools as the ultrasonic bone aspirator and the newer technologies to control or decrease bleeding. Both are advances in the neurosurgery field that help him do his job better. As an example, Dr. Wohlfeld has focused on improving posterior interbody lumbar fusions, which he performs without pedicle screws. He’s one of few using this technique, and he has seen excellent results. The option is appropriate for select patients with low-grade degenerative spondylolisthesis (or slippage of the spine), adjacent segment deterioration above a prior pedicle screw infusion, and people with severe degenerative discs that require complete discectomies. 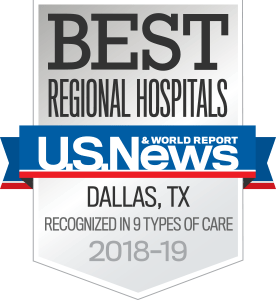 Dr. Wohlfeld splits his time between UT Southwestern’s Zale-Lipshy University Hospital and the North Texas VA Medical Center, where he is Chief of Service for Neurological Surgery. He finds taking care of veterans especially gratifying because both of his grandfathers were military physicians. Q&A by Bryan Wohlfeld, M.D.